Can't stop watching the How to Dad car seat video. 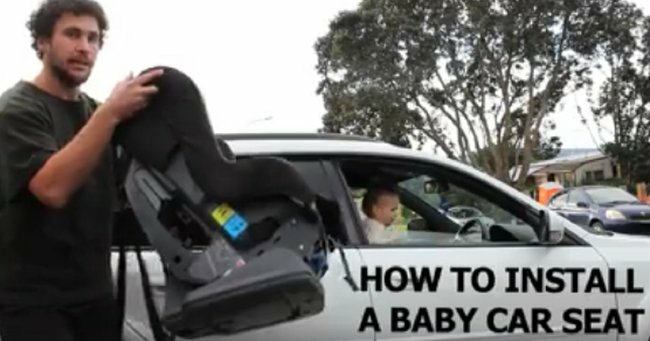 How to DAD's hilarious car seat installation instructional video. The latest target? Installing a car seat. And it turns out, you’re either “This Dad” or you’re “That Dad“. I’m “That Dad“, if you were wondering. Well, I mean, I’m a mum, but put a car seat in front of me and I instantly become “That Dad”. Happily, the father of my children is “This Dad”… Yet another item on the long list of reasons my husband is never ever allowed to leave me.